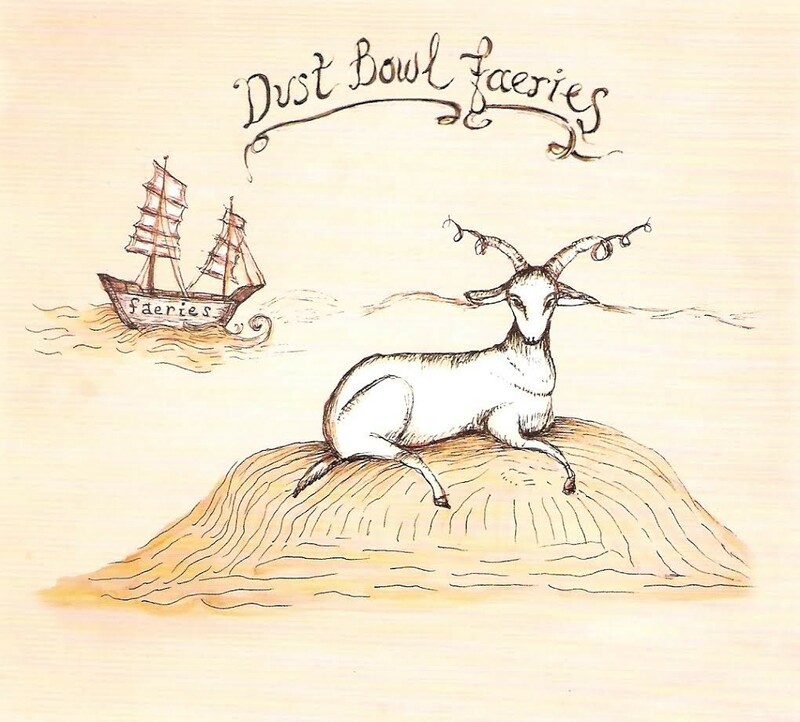 CD Review: Dust Bowl Faeries "Dust Bowl Faeries"
To just explain away the music of Hudson's Dust Bowl Faeries as simply "dark cabaret" or "gypsy music" would be doing this talented collective and their stunning, eponymous debut a great disservice. Singer-songwriter Ryder Cooley and her band—lap steel player Karen Cole, guitarist Jen DuBois, percussionist JoAnn Stevelos, and keyboardist Sara Ayers—have created a 12-song set that lies somewhere between His Name Is Alive, the calmer moments of Tom Waits's The Black Rider, and "Twin Peaks"-era Julee Cruise. Brilliantly produced by occasional Chronogram contributor and Bob Dylan: Prophet Mystic Poet author Seth Rogovoy in Columbia County at Replacements bassist Tommy Stinson's Bipolarbear Studios and renowned drummer Bobby Previte's Three Horses in a Wood Studio, the self-titled album benefits from its strong combination of expert recording ears and Cooley's transcendent compositions of moody riverside dream folk. The singer's sultry coo, which is further augmented by her heightened aptitudes on accordion, six-string ukulele, and musical saw, is captivating on such freshwater shanties as "Seasick Moon," "Owl Song," and "Great Whitefish Bear." This is beautiful, haunting music that transcends the theatrics accompanying it. So let this album be your soundtrack for the moments when you venture down by the water on the outskirts of town, where the only company you'll keep is with the curious forest creatures who pass you by.